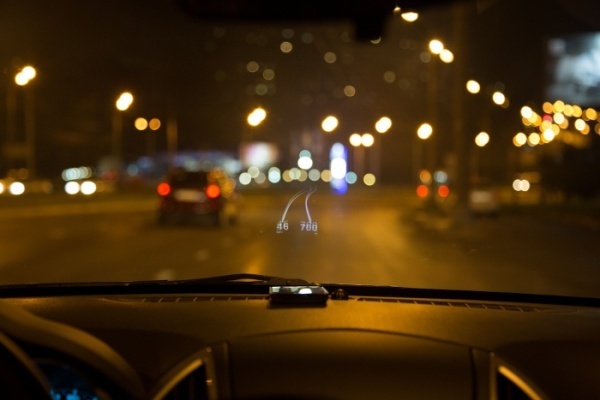 To improve road safety, the head-up display systems begin to appear in our cars . They can have all the navigation directions (direction , speed, etc. . ) Superimposed on the field of vision, without ever having to leave the road. HUDWAY , a Russian company , offers a simpler and less expensive because HUD is free in its basic version . The startup has chosen a basic approach for the solution of HUD did not need a smartphone to operate. Here, it is not necessary to install a projector or stick a reflective windshield film. This is actually an iPhone app (available soon on Android smartphone) for free download on the App Store. To use it , simply set its destination to activate the HUD ( this is actually a mirror mode that reverses the iPhone screen ) , and put the phone on the dashboard at the bottom the windscreen , preferably a rubber mat . 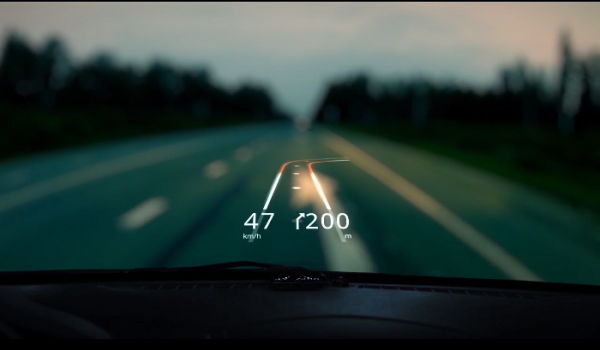 Navigation instructions displayed in high contrast will simply be reflected on the glass of the windshield , simulating a head-up display system in augmented reality. 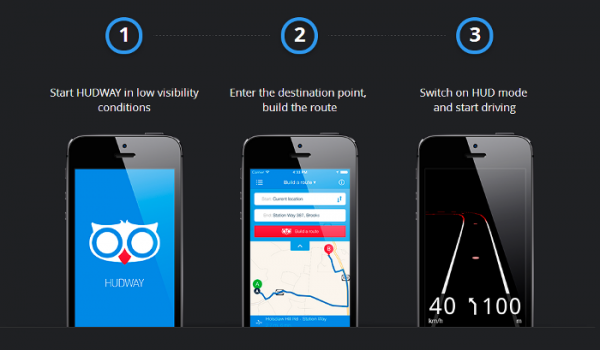 Using the GPS chip and accelerometer smartphone HUDWAY displays your speed, location, upcoming turns and the next change of direction. It lacks more than the danger zones ... In addition, the 3G connection is only required when you set your destination. The application downloads and there is no need to be connected during your trip route. On paper , this app is attractive but there are few more disappointing points. The reflected on the windshield picture may look slightly but two can be forgiven given its ease of use and its free . In addition, this display reflection system will not work or very badly in broad daylight and in full sun, but on the other hand , it is perfectly suited to drive safely and anticipate curves in difficult conditions with low visibility, rain, the fog , snow and night.